Includes Free Digital Download / Steam Code. Limited Edition of 500 Copies + Big Artwork Poster. 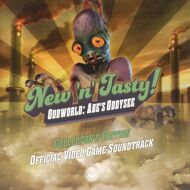 -soundtracks for New 'n' Tasty! Oddworld: Abe's Oddysee & the original Oddworld: Abe's Oddysee.